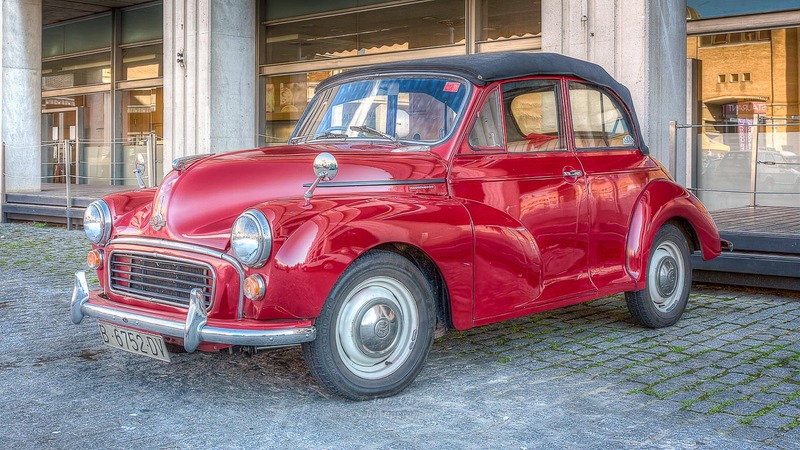 A beautiful oldtimer car, photographed with lovely shine on it’s red suface. I like the mirrored images of street and houses here and there. Beautiful. In my youth (70s) my father owned a Morris Marina which he later replaced with a Mini Cooper. Fun fact, my fathers middle name is Cooper. Yo tengo un mini de mi padre muy antiguo y lo tengo como una joya. Me gusta. Splendid picture of this oldtimer, Joan! I love the many reflections in the car. Que me gusta lo bonito. Gracias. ¿Hicistes alguna de su salpicadero? Solo por la Curiosidad fotográfica, que me puede…..